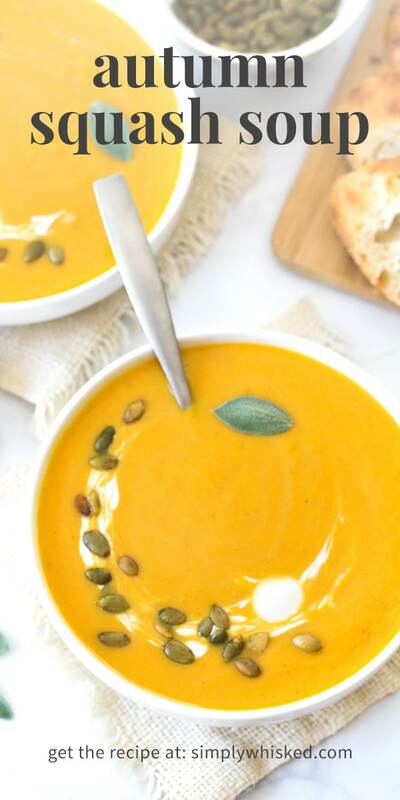 Enjoy the flavors of fall with this creamy, autumn squash soup, made with simple, dairy-free ingredients in just under 30 minutes. 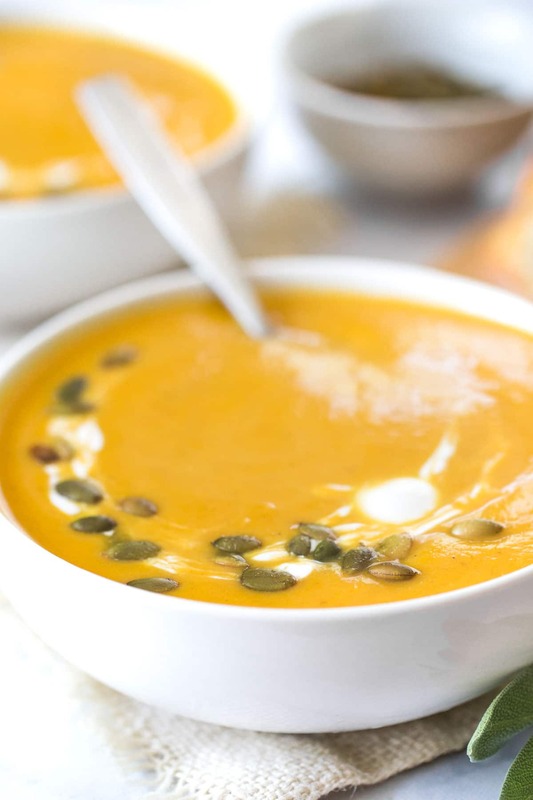 Autumn squash soup is one of my favorite soups at Panera. It’s slightly sweet, rich and creamy. 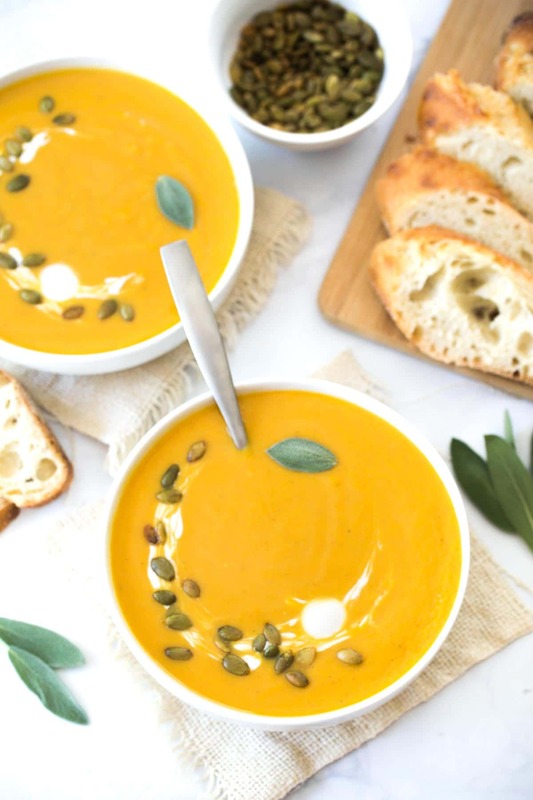 It’s the perfect fall soup, especially paired with a warm piece of crusty bread. The only problem is that I don’t live at Panera, and, like so many of our fall favorites, it isn’t available year round. Obviously, this is a problem I decided to solve, and that’s why I’m sharing this amazing soup with you today. I decided to make this soup in August though, so I was still dealing with the problem of sourcing squash before it was in season. After hitting up 2 grocery stores and Costco without finding any, I walked to the freezer section and grabbed a bag of frozen squash. It ended up being a perfect choice, because it was already prepped and just needed to be tossed into the soup pot. Frozen squash was a regular in our baby food rotation, so I’m actually kind of mad I didn’t think of it sooner. 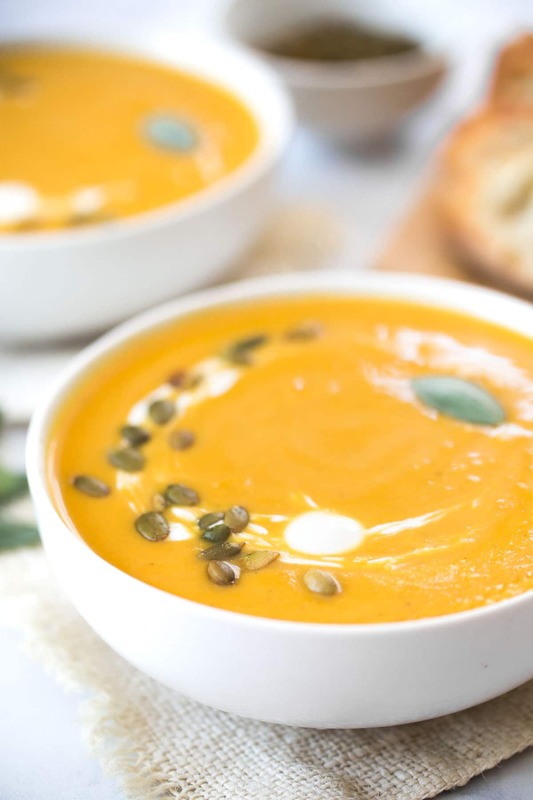 Other than chopping the onion and measuring ingredients, there isn’t much prep involved in this soup, which automatically makes it my new favorite recipe. But, the flavor of this soup takes the cake, too. 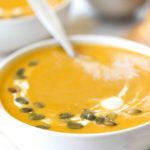 It’s by far the best of the blended soups I’ve made in the past, and I’ve made my fair share, including this creamy pumpkin soup. Trust me, this is the best one, ever. 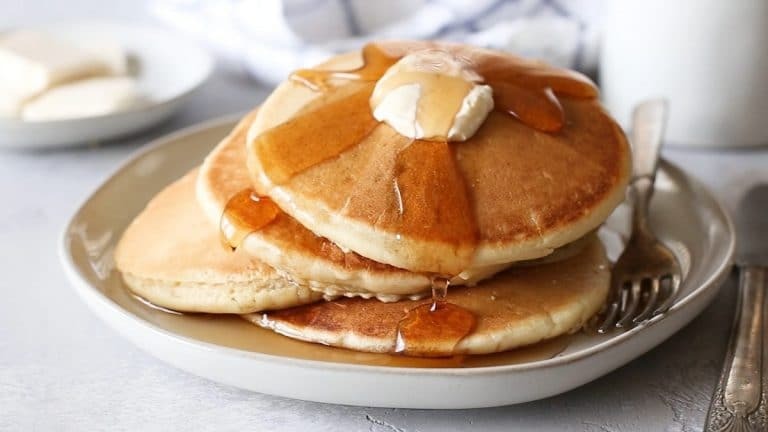 The simplicity of making it only makes it better. In a large stockpot or Dutch oven, heat olive oil to medium-high. Add onions, garlic, and pinch of salt. Sauté, stirring occasionally, until onions are translucent, about 5 minutes. Add remaining ingredients. Cover pot and bring to a boil. Reduce heat to medium-low and simmer for about 15 minutes. Remove from heat and blend with an immersion blender (or transfer soup to a blender and blend in batches) until smooth. Garnish with pepitas before serving.